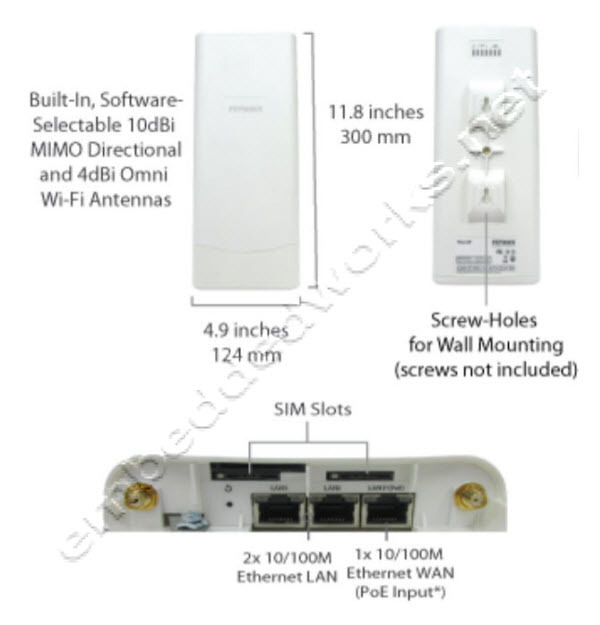 Embedded 4G model supporting AT&T/T-Mobile 4G LTE network and providing automatic fallback to AT&T/T-Mobile 3G as needed.Technologies and frequency bands supported: 4G LTE (Band 4/17); WCDMA/HSDPA/HSUPA/HSPA+/DC-HSPA+ (800/850/1900/2100 MHz). 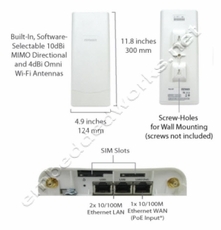 - switches between Ethernet WAN, Wi-Fi as WAN, and 4GLTE/3G links to keep up and running. - re-establishes your IPsec VPN connection on lower priority link when your primary WAN fails. - supports both CDMA and GSM for all U.S. carriers. - saves you money with a bandwidth allowance monitor that switches SIMs when you're close to a data cap. Dual SIM slots also eliminate 3G network dead spots . - failover between fixed and mobile links is completely seamless. - no worries about external switches and power supplies orunnecessary maintenance and setup , even when two LAN ports arerequired. - manage all your mobile outposts from one intuitiveinterface. - Built-in GPS lets you keep tabs on fleet vehicles. The Pepwave MAX BR1 is a rugged, ready-for-anything M2M connectivitysolution that powers unparalleled uptime and dependability in mobilecommand, first response, surveillance, banking, retail, and otherdeployments.Featuring Automatic Failover between fixed and mobile links, IPsecVPN Failover, built-in 802.11n Wi-Fi and 4G LTE/3G modems, andSpeed-Fusion persistent session roaming, the MAX BR1 keeps criticalvoice,data, and video streams flowing fast, without interruption, whereveryourwork takes you.